No Dominion: The Ian Horvath Story seeks to shed new light on the life and accomplishments of late artist Ian Horvath. After a successful career as a professional dancer and founding Artistic Director of the Cleveland Ballet, Ian became a great advocate for dance in the United States. His work with Dance USA, The Carlisle Project, and The National Endowment for the Arts created a more secure future for dancers and dance companies in the US today. As tribute to his effect on the art form as a whole, dancers from Pacific Northwest Ballet, The Joffrey Ballet, Boston Ballet, Ballet Tucson, and Verb Ballets have come together in collaboration to perform two of Ian’s choreographic works for the film, Laura’s Women and No Dominion. Horvath was also a passionate AIDS awareness advocate during the AIDS crisis of the 80s, most prominently helping arts organizations to relate to employees suffering from the disease. AIDS tragically claimed his life in 1990, but the work he did to help others lives on. There is so much more to tell about this remarkable man and this film will share his inspiring story with the world for the first time. Learn more about the film and progress at www.nodominionfilm.com. For the past three years, Margaret Mullin and Nel Shelby Productions, have been working on the documentary film, No Dominion: The Ian Horvath Story. Verb Ballets is honored to be involved in this remarkable documentary since the beginning in 2015. 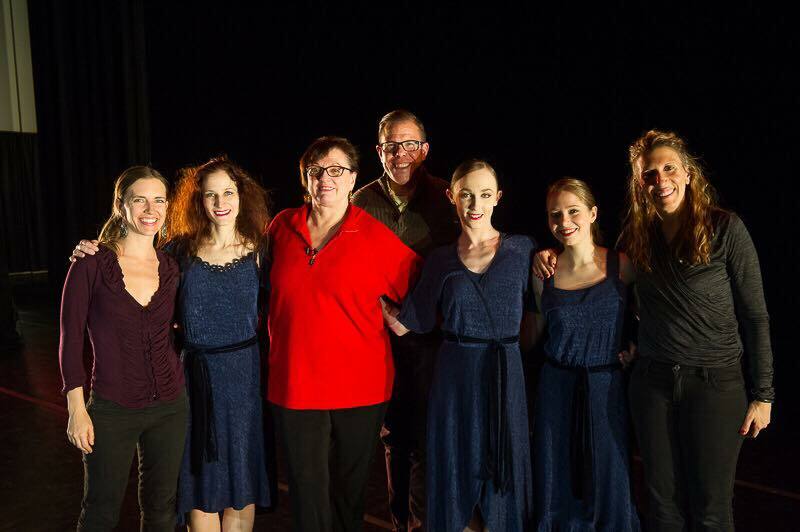 Verb Ballets’ Producing Artistic Director, Dr. Margaret Carlson, was instrumental in filming the ballets for the documentary owing to her role as regisseur (producing rehearsal director) for Ian Horvath’s works and as a founding member of Cleveland Ballet. In addition to her restaging Laura’s Women in the film she participated in the documentary interviews. Verb Ballets dancer Lieneke Matte performed with Margaret Mullin of Pacific Northwest Ballet and Deanna Doncsecz Becicka of Ballet Tuscon in the documentary. The dancers in the film came from incredible companies from across the country including Pacific Northwest Ballet, Joffrey Ballet, Boston Ballet, Ballet Tucson and Verb Ballets. The documentary film is in final production in preparation for screenings at national film festivals. Cast and production staff photo after taping to Laura’s Women. Loren R. Robertson, Deanna Doncsecz Becicka, Margaret Carlson, Trad A Burns, Margaret Mullin, Lieneke Matte and Nel Shelby. 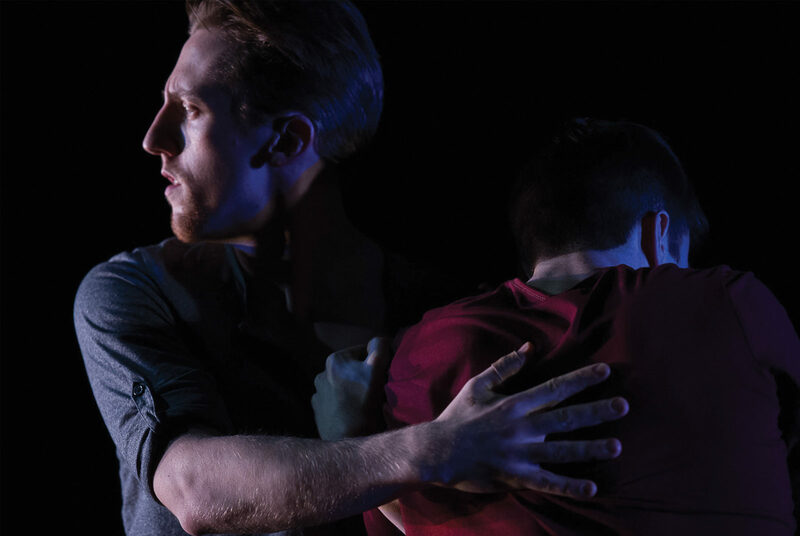 Verb Ballets celebrates the life and work of Ian Horvath. This special evening which includes his first and last works, documentary interview excerpts and the premiere of a new ballet by Kay Eichman. A preshow panel at 7:15pm will discuss the AIDS epidemic and its impact on a generation of dancers, who were lost to the disease. Verb Ballets presents an encore presentation in Akron honoring the life and work of Ian Horvath. This matinee will include his first and last works, documentary interview excerpts and a panel discussion about the AIDS epidemic and its impact on a generation of dancers, who were lost to the disease.